Find music for occasional use in Mass during various seasons of the year, including Advent, Christmas, Lent, Easter and Pentecost, as well as Marian hymns and chants for funerals and other occasions. The Parish Book of Chant, Second Edition was compiled with the parish experience in mind, combining the Mass, the people's music, tutorials and translations into a single volume. It contains a complete Order of Mass for both the Ordinary form of the Roman Rite and the Extraordinary form, serving as an ideal resource for parishes that use both forms or wish to emphasize the relationship between them. Each form is provided in side-by-side Latin and English. Encompassing all the basic chant repertoire, The Parish Book of Chant is a marvelous resource, essential for every scholar. This second edition provides expanded Kyriale, Sequences, litanies and Communion Propers as well as full chant hymn verses, ribbons, tutorials, and the fully updated Ordo to the Ordinary and Extraordinary forms of the Mass. All the music is set on four-line staffs with newly typeset neumes, easily accessible for musicians, and the Ordos include the sung responses of the people and celebrant. 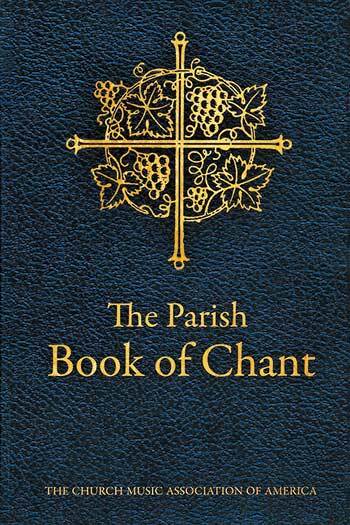 The Parish Book of Chant, Second Edition includes 71 Latin chants, with English translations, that have inspired composers for ten centuries, and have been in the minds and hearts of Catholics for generations. Find music for occasional use in Mass during various seasons of the year, including Advent, Christmas, Lent, Easter and Pentecost, as well as Marian hymns and chants for funerals and other occasions. Equally suitable for beginners and more advanced singers alike, the book includes a 7-page tutorial on singing chant. Topics addressed include signs, melodies, style, rhythms and modes. Additional features include the order of service for Benediction, Gospel canticles, litanies and Alleluias for both forms and more!